Considered the second largest city in Africa and bustling with 12 million inhabitants, Cairo is one lively and momentous megacity. A mosaic of ancient history, traditional culture and modern urbanity, travellers will sense the old, the new, and everything in between. Maneuvering through streets filled with street vendors, fluorescent-lit shops, hidden mosques and crowding cars might get a bit overwhelming for women travellers visiting this metropolitan city for the first time. We’ve unpacked the many layers of Cairo, breaking down the city into tips, advice and recommendations to help you make the most of your visit. One thing that could make or break your stay in Cairo is where your hotel or AirBnB is located. With its streets in a perpetual state of crowdedness, you don’t want to spend most of your time stuck in traffic. 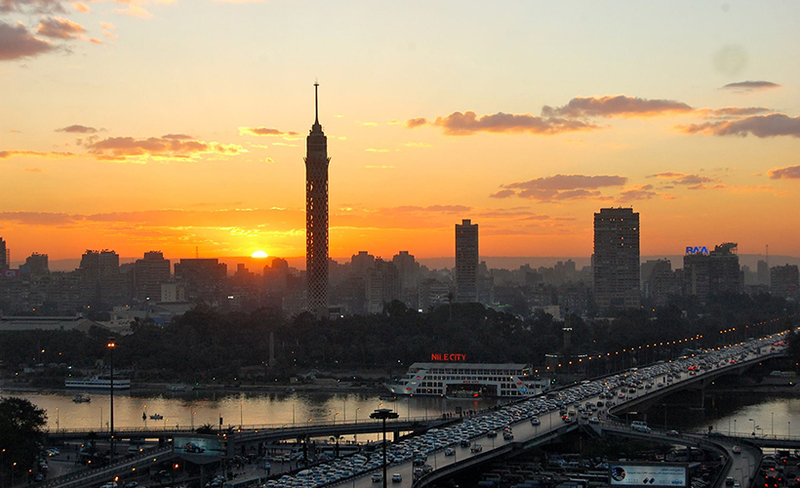 Luckily, one of the easiest things to find in Cairo is affordable accommodation in excellent locations. For those looking to do a lot of on-foot exploring, Downtown (Wust el balad) and Garden city are prime locations and considered safe for women travellers, particularly as they are considered touristic hubs and lay in close proximity to most of the main attractions. From Downtown you can easily access the Cairo Metro, walk around pedestrian-friendly streets or hail cabs literally from any point on the streets. 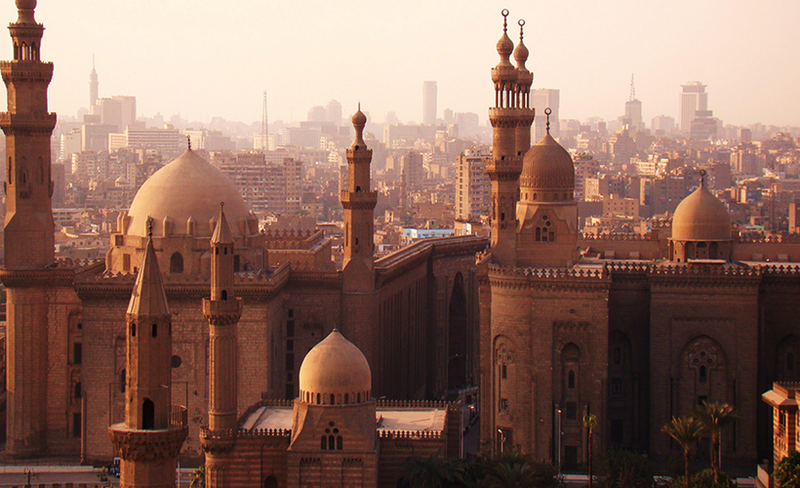 Other neighborhoods such as Zamalek and Maadi are more up-scale and are known for their large expatriate communities. Solo women travellers can take comfort in the friendly and more open-minded atmospheres in these neighborhoods. Even though Cairo is considered safe for tourists, there is no harm in keeping some tricks under your sleeve for those times when you’re feeling a little lost. One of the best ways to ease your mind is to dress comfortably. Touristic areas outside of Cairo are more tolerant of different kinds of dressing, but it is best to stick to loose and comfortable outfits as you make your way around. In summer, it is best to avoid clothing that is too short or expose too much skin; besides as a general precaution against the heat, it may also impede your ability to wander into some of the more Islamic and traditional areas. It is also important to claim your own personal space as a woman travelling around Cairo; it helps to know where you’re going before beginning your journey. Learn the Arabic names of the places you intend to visit beforehand. Although Cairenes are known for being helpful and friendly, doing so will allow you to be more independent in your travels so as to avoid overly helpful or intrusive locals insisting on guiding you. Do not be afraid of refusing unwanted help, as long as you do it, nicely, yet persistently. If you find yourself being subjected to verbal or physical harassment, speak up. Showing a confident persona is the best way to ward off unwelcome gestures. You can also report incidents to Harassmap, an award-winning online platform and volunteer-run initiative whose mission is to transition Cairo into a society in which everyone is safe from sexual harassment or gender-based violence. With a massive selection of street food and eateries, one is never at a loss when it comes to finding a satisfying meal in Cairo, at any point of the day or night. Sample a good range of traditional local cuisine in the Downtown area. On top of your list should be koshary (a mix of rice, macaroni, lentils, tomato sauce, garlic vinegar, chickpeas and fried onions), Egypt’s most famous vegetarian dish. If you’re into meaty delights, don’t miss shawarma (kebab) and the classic delight of stuffed pigeons. End your meal with a wide range of hookah flavours (called shisha in the Egyptian dialect) while winding down at sidewalk cafes in some of the older neighborhoods, like Sayyeda Zeinab and Al Hussein. For the exhausted traveller who does not feel like roaming the streets late at night looking for something to eat, don’t sweat it; almost everything can be delivered to your doorstep in this megatropolis. Visit websites like otlob.com for easy access to food delivery. For recommendations when dining out, refer to elmenus.com for comprehensive listing of menus, prices, locations and reviews of hundreds of restaurants and cafes around the city. It is always best to buy bottled drinking water, or use distilled water as Cairo’s tap water is known to be a bit rough on the stomach. Whether you’re into local traditional performances or want to peek into the growing young music and arts scene, you won’t be at a loss for options. With a number of international film and contemporary arts festivals happening during spring and autumn*, you’ll get a chance to witness a unique curation of Arabic and Western arts and performances. With a massive and growing young population, Cairo is quickly becoming a hub for new performance venues, clubs and underground art and music spaces, most of which are found in the Downtown-Zamalek and Maadi areas, bustling with groups of young women and men on a night out. 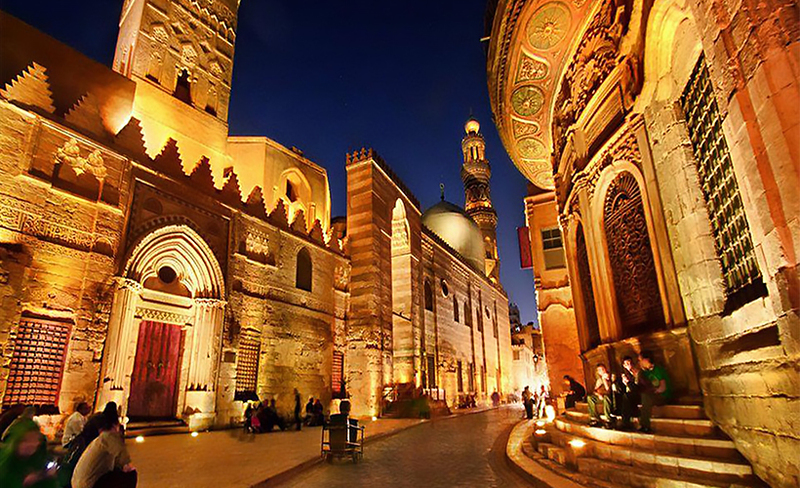 Old Islamic Cairo and the Opera house are also great venues to venture into for a night of cultural and folkloric rejuvenation. Film and art enthusiasts can check out the Downtown Contemporary Arts Festival, Panorama of the European Film, The Cairo International Film Festival and the International Samaa’ Festival for Spiritual Music and Chanting. Because it’s easy to lose yourself in the hustle and bustle of Cairo, it’s a good idea to plan a trip or two to the chiller parts of town. 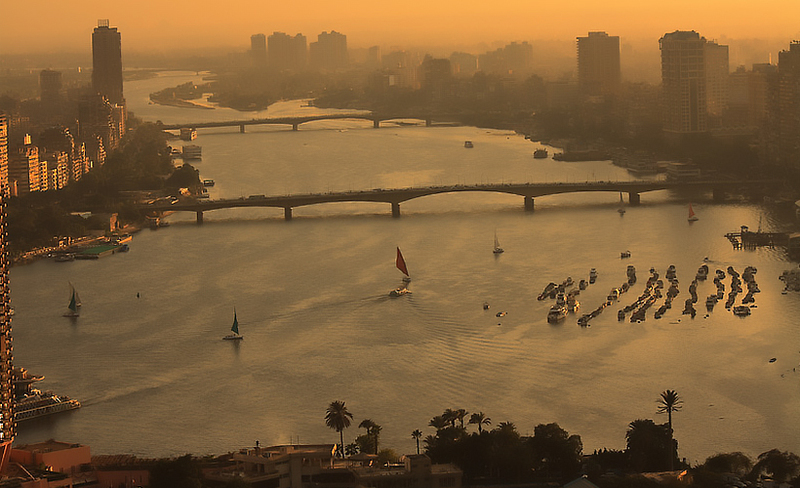 One great option is to take a felucca (boat) into the Nile; the ride is easy on the wallet and perfectly safe for women travellers to catch the sunset and enjoy watching the city happen from a distance. Another great option is to go up Mokattam Hills, Cairo’s only higher ground area. One great place to visit is the Saint Samaan Monastery, which is beautifully carved into the mountains and is said to foster an elated spiritual energy. From atop the Mokattam hills you can overlook the Islamic Cairo citadel and if you’re lucky and the skies are clear, even the Pyramids of Giza. 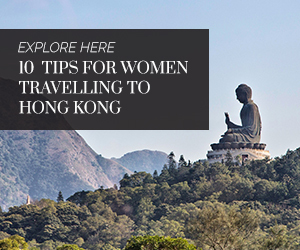 One tip for women travellers: It’s better to go with a bigger group, especially if you’re heading there in the evening. 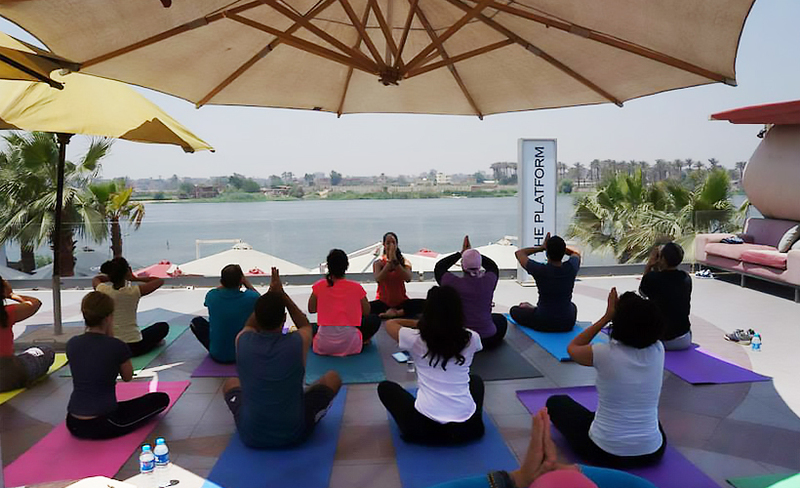 Find your peace and get a good workout while enjoying stunning views of the Nile in a yoga session. There are some yoga studios offering classes in strategic spots along the banks of the river. MandalaYoga is a popular choice as they cater to travellers with a range of interesting retreats, such as yoga cruises, in and outside Cairo. Add meaning to your visit by giving something back to locals in need. One area that lacks resources and aid is animal welfare. You can visit the animal shelters like ESMA (www.esmaegypt.org), where stray dogs, cats and working animals are more than often in dire need of extra care and a helping hand. Contact them before hand to find out what they need, and bring what you can. Old blankets and dog collars can go a long way – every bit helps!